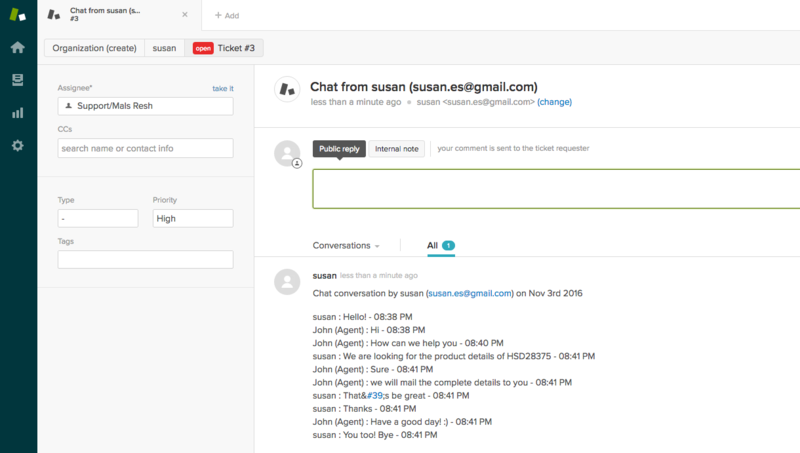 Zendesk is a popular help desk ticketing software. 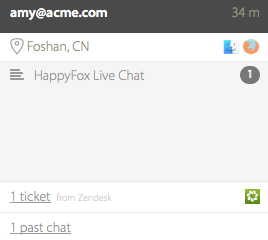 HappyFox Chat-Zendesk integration allows you to track chats as tickets in Zendesk. Only admins of HappyFox Chat can perform this integration. The integration is available on Mighty and above plans. After a chat ends, tickets will be created in Zendesk and you can follow it up. You can view the past tickets created for the visitor in the chat area. You can view ticket details on the chat history section inside HappyFox Chat. You can configure the category as well as the priority of tickets to be created. Step 1: Login to HappyFox Chat. Step 3: Click Install button. Step 4: In "Connect your Zendesk account", enter your Zendesk account name. 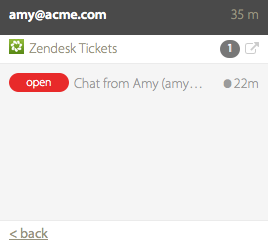 (If your Zendesk URL is https://acmewidgets.zendesk.com, your account name is "acmewidgets") and click "Connect". You will be asked your Zendesk username and password details for authentication. 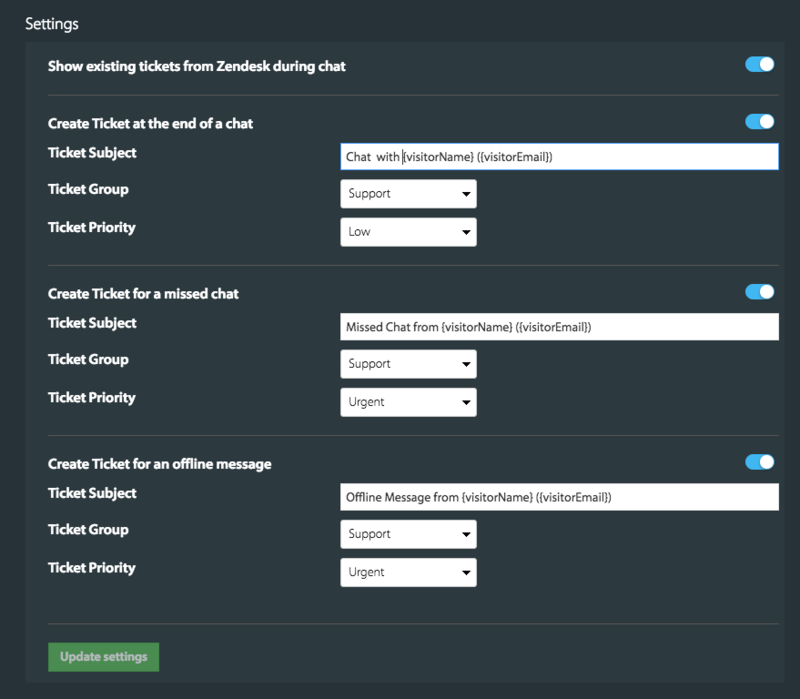 Step 5: You can now enable the settings to allow HappyFox Chat to fetch ticket details for a visitor. You can also enable if a ticket has to be created after a chat and choose the category as well as the priority. Click Update Settings after updating your preferences. After updating the settings, you can view the tickets during a chat in the customer information box. Clicking on the hyperlink of that ticket shows the status of that ticket. Clicking on the ticket will take you to the ticket in your Zendesk account to perform further actions.